It should come as no surprise to anyone who knows me personally, stumbled across my Instagram, my Facebook, my Tumblr, my Twitter or perhaps even passed me in the street that I'm a HUGE geek. You can usually tell by the t-shirt I'm wearing. I fall into the mostly sci-fi geek tribe nowadays but my foundation is comic books. It encompassed ALL the possible stories that could be told by mankind, like all good science fiction. Comic books were even partially how I learned to read. I grew up and graduated to more mature geeky readings and movies and TV shows, like Lord of The Rings, BSG and The X-Files. I was geeky before it was cool to be geeky, especially before it was cool to be black and geeky. And for all the treks to movies, television and books, I always came back to Marvel comic books. From a nerdy teen from Queens (like me!!!) 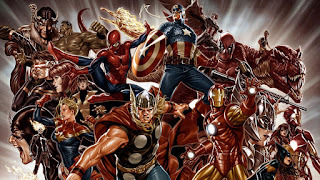 who got powers from a radioactive arachnid to a family of explorers fighting a mystical/technological Eastern European dictator to tales of soldiers in Vietnam to humanity fighting aliens in the far future for survival, Marvel Comics had it all. So, why did I include a picture of this DC Comics character here? 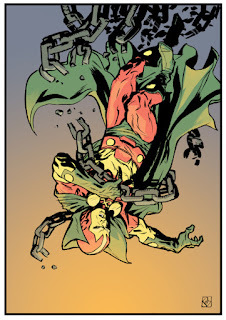 Well, this is The Fifth World but more than that I believe Mister Miracle is the quintessential comic book character. And before you shout me down with "What about Superman/Spider-Man/Batman, etc? ", easy. 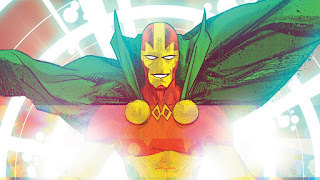 There are arguments to be made for them as well but my argument is for Mister Miracle simply for what he represents- freedom. Scott Free is the god of escape. No trap can hold him, no bonds can secure him, no prison can keep him. He is a Jack Kirby creation based on fellow comic creator Jim Steranko, an escape artist. Scott was part of a trade to avert war between New Genesis and Apokolips and was raised on Apokolips under the authoritative thumb of Granny Goodness. Scott endured and finally escaped the horrors of the hellish Apokolips and made his way to Earth to become the second Mister Miracle. In fighting against the tyrannical rule of the evil god Darkseid and escape the bonds of slavery, Mister Miracle represents the ideals of freedom. He literally escaped his normal world to gain freedom in a world of superheroes with the ability to do anything. 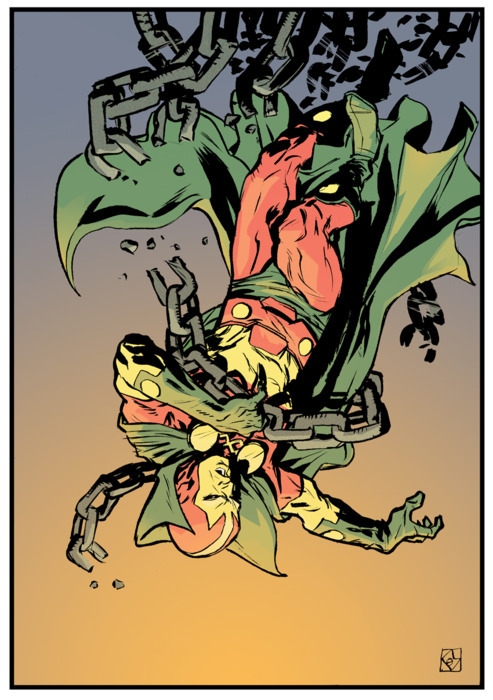 More than freedom and representing the counterpoint against the Anti-Life Equation (which could be argued is an equation for ultimate servitude), Mister Miracle uses his creativity to escape any bonds, even the ones of ordinary life. And isn't that what stories, especially these science fiction ones we love, represent? Don't these tales show us an escape from the mundane or even more, a pathway to a better reality that we should all aim for? Don't we all want to be Scott Free at the end of the day? I do. I aim for that goal all the time and maybe sharing my love of these fantastic stories will help you shoot for that goal as well. That's why I'm here. Sean Fields is an aspiring writer and has been in the education field for more than a decade. He works mostly with teenagers nowadays which both keeps him well informed on pop culture and makes his hair turn grayer daily. He has a few blogs but is currently focused on this one and this other one. You can also find him on Tumblr, Twitter and Instagram, if you want to be entertained or infuriated. What is your take on the new MM series? I haven't read the latest issue but will probably grab it later today. I have my own mythos and take on these characters in my head, like I'm sure all fans do, but I trust the creative team here and look forward to what they will do. Think the whole war and secret machinations that is beginning to be revealed in the second issue could pan out to a very creative take on anti-life and the dissolution of freedom in war and following your fated path. We shall see. You? Why Can't Marvel Make Great Films? Welcome to the Fifth World!